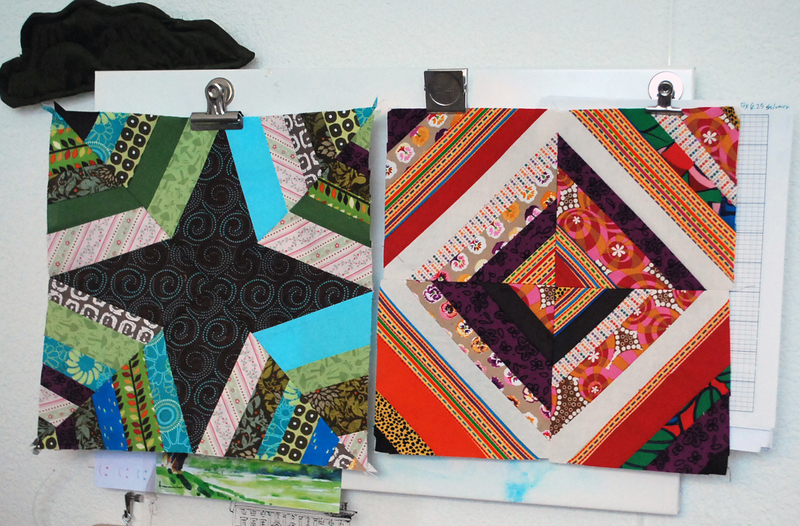 March 6, 2012 Adri H.
The principle behind foundation piecing is that you have a shape that you cover with scraps. The string block is named so for the strips of fabric used. In the past, strips of fabric were referred to as string according to the course. Interesting! The second block is named broken spiderweb because when you make four of them and put them together the center of the four blocks resembles a spider's web. But, at first I didn't know why and all I saw was a four pointed star... like a compass. I really loved the way this one turned out, too. 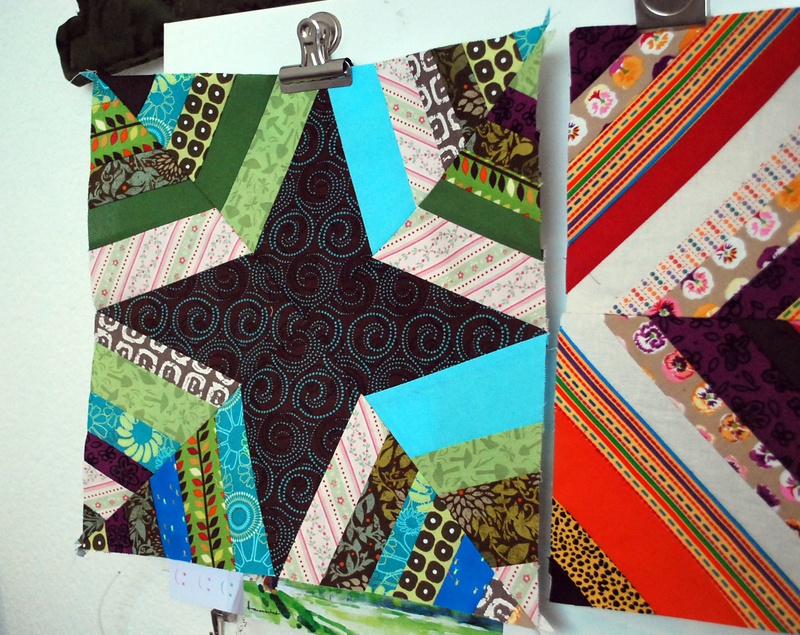 Do you have a favorite quilting method? 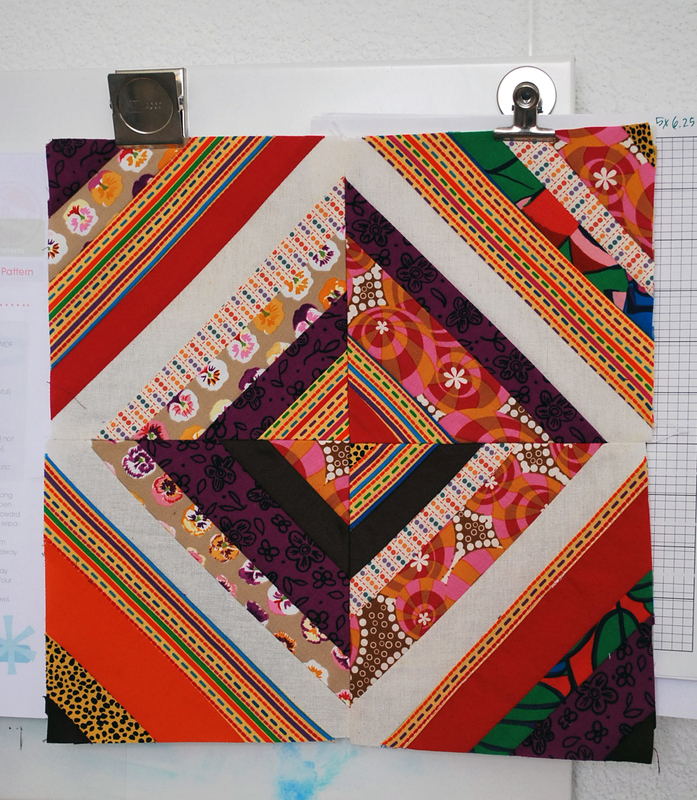 Are you participating in Craftsy's free Block of the Month course? If so, how are you liking it?